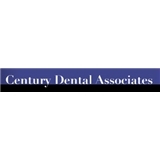 Century Dental Associates (New York) - Book Appointment Online! Very long wait, but it was worth it. He was the most attentive and thorough doctor that I have encountered in years! The office administrator was also extremely sweet and helpful! I do recommend.